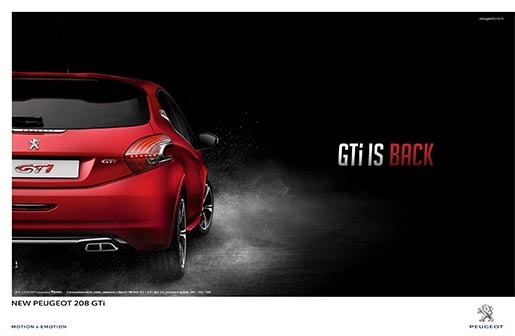 Peugeot has launched “GTi is Back”, an integrate advertising campaign for the launch of the new Peugeot car, 208 GTi. “Guitar”, a film with a rock’n’roll vibe, adapted to 10 different markets, evolves around an inspired musician who passionately improvises riffs on his electric guitar. 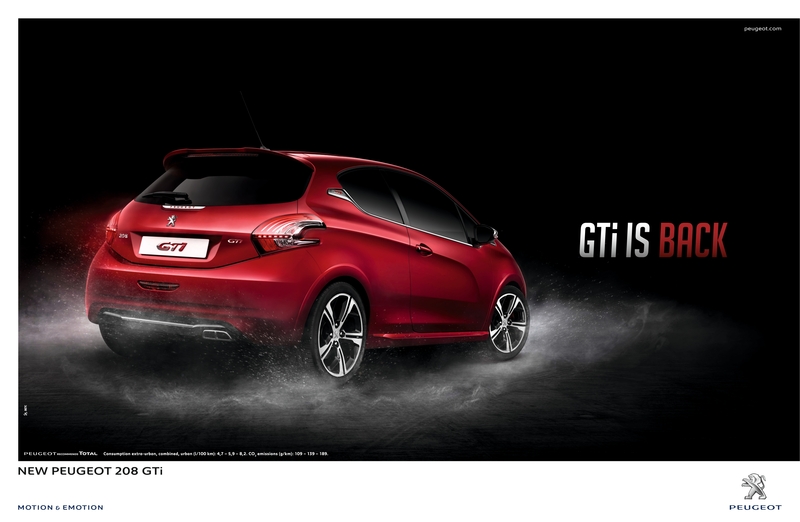 The campaign also includes print, outdoor, cinema and web. The GTi campaign was developed at BETC Paris by executive creative director Rémi Babinet, creative director Vincent Behaeghel, creative team (TV & Web) Jean-Christophe Royer and Eric Astorgue, art director (print) Vincent Lesné, strategic planners Clarisse Lacarrau and Maria Galleriu, traffic team Elise Herfort and Coralie Chasset, rights negotiator Sophie Sanchez, TV producer Thibault Blacque-Belair, print producer Fabienne Bouyssou, agency management team Henri Tripard, Julien Grimaldi, Thomas Boutte, working with Peugeot marketing team Guillaume Couzy, Olivier Gandolfo, Nathalie Le Maitre, Aude Collerie. Filming for Guitar was shot by director Alex Courtes via Les Télécréateurs. Music, “TR 208” was by Romain Turzi, by Collosseo. Filming for Scales, Razor and Driving Test (Online) was shot by director Julien Rocher via Rita Films. 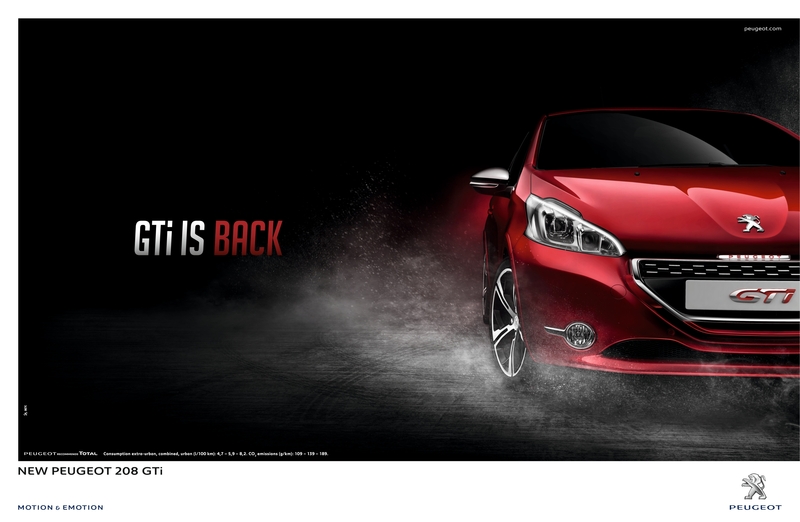 Print work was designed by art director Vincent Lesné, Jean-Christophe Lesné, assistant art director Laura Tarlton. 3D photography work was done at RCD Except.